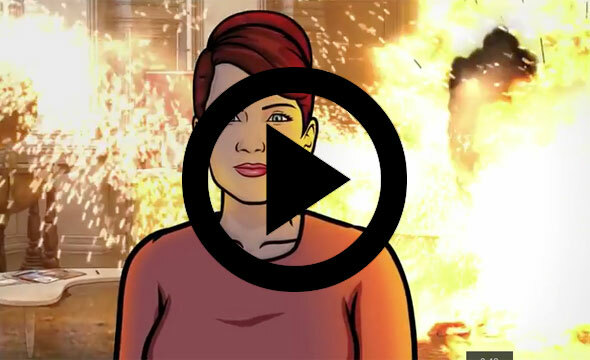 FX’s spy comedy “Archer” returns in January with Sterling, Lana, Pam, Cheryl, Ray, Cyril and Krieger returning to their old jobs following last season’s diversion into running their own drug cartel. Eveyrone’s back at ISIS which will no longer be called ISIS in the show. Click the link below to head to EW where the trailer has exclusively premiered. Another promo today is next weekend’s season finale of “Doctor Who,” the second of a two-parter following this past weekend’s episode “Dark Water” with that episode’s ending revealing two big twists. We’ll find out what ‘Missy’ has planned in the finale on Saturday.